A refreshing look at Korg's best-selling microKEY Series. With all of the endless options, configurations, and choices that modern technology offers musicians today, in the end, the simplest solution is often the best solution. An uncomplicated, straightforward design, compact size, and easy connectivity made the first-generation microKEY series a bestseller. Now Korg's second-generation microKEY lineup retains those attributes and adds iPad and iPhone support (with Lightning - USB camera adaptor), plus a damper pedal jack for improved playability. 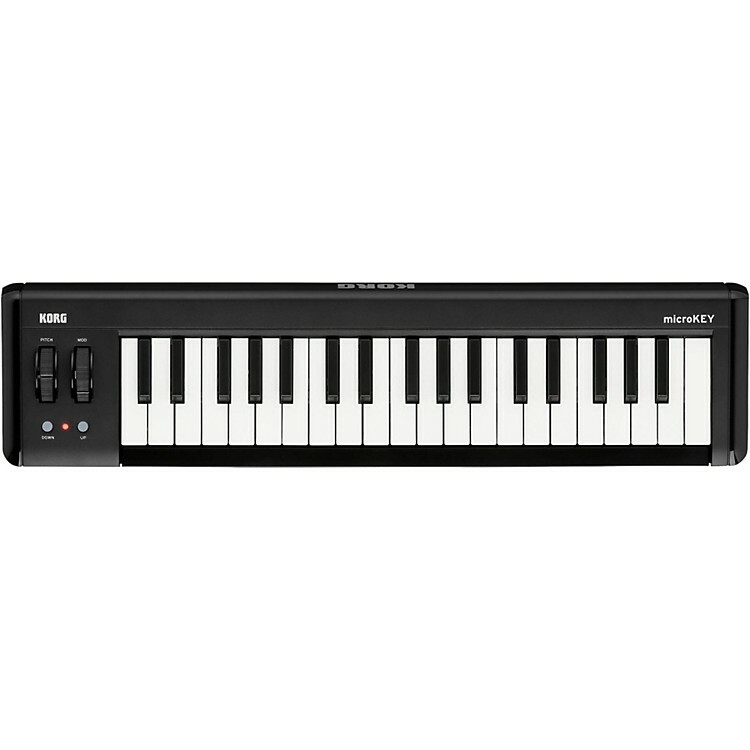 KORG’s Natural Touch mini keyboard. Has been carefully designed to assure playability while staying compact, and makes it easy to play chords or rapid phrases. Choose between a 25, 37, 49 or 61-key configuration to suit your specific playing style and space/travel requirements. * For connection to the iPad/iPhone, use the Apple Lightning - USB camera adapte. The microKEY comes with a serious collection of powerful music software titles including popular special editions of KORG Gadget and KORG Module plus the KORG Legacy Collection offering five classic KORG instruments as plug-ins. With microKEY Air you won’t have to purchase additional software; you can start creating music right away. Order the 37-key microKEY2 Series controller today!